MIP X-Duty Rear C-Drive Kit For The Yeti « Big Squid RC – RC Car and Truck News, Reviews, Videos, and More! 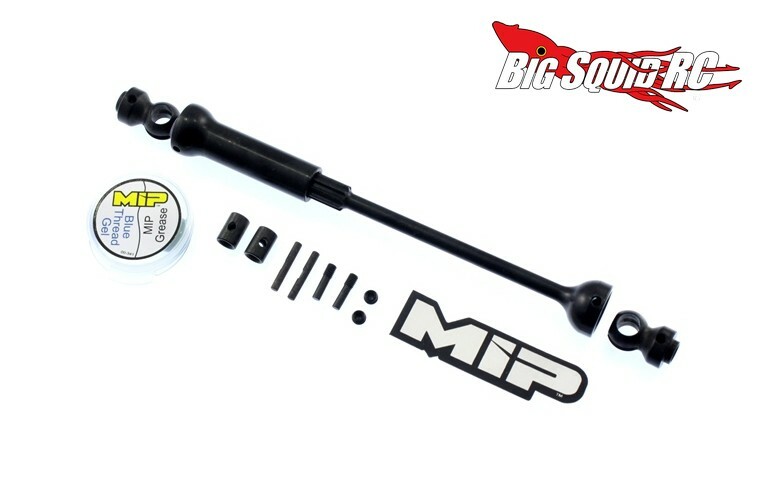 Just announced by MIP is an X-Duty Rear C-Drive Kit for the Axial Yeti. The X-Duty C-Drive kit replaces your Yeti’s rear plastic driveshaft with a heavy duty steel unit designed to take massive power and the worst bashing you can throw at it. The all metal design features heat treated, high grade alloy steel parts and is 100% made right here in the USA. Pricing for the MIP kit is $45 and it has a part number of #14390. Hit up This Link for more details over on MIP’s website or you can Click Here for more MIP news on BigSquidRC.